NOW AVAILABLE – click the buttons above to get yours today! Did you ever want to learn to pray in American Sign Language (ASL)? The Religious Signs For Families app makes learning fun and easy! You and your child learn by watching children and parents sign religious words and prayers. All the ASL parent models are Deaf parents, and all the child models are Deaf children or Children of Deaf Adults (CODAs). Their expert signing is simple to follow and enjoyable to watch. The Religious Signs for Families app is a delightful and engaging way to learn ASL using religious words that are not often found in other ASL apps. The goal of the app is to help families with young Deaf children and Deaf couples with young children to foster prayer in the home. 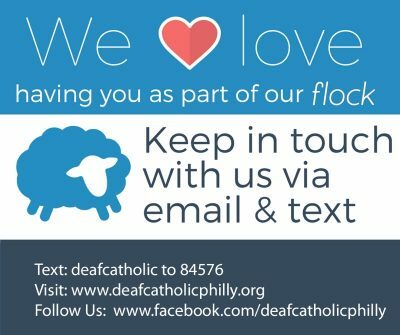 This app provides a way for families to connect while learning religious signs and to bond to one another and God as they pray in ASL. Users extend beyond the family unit because this app is perfect for anyone who wants to learn and use ASL to pray. All religious words have been selected from a Christian prayer context; however, there are many words that are used in other religious denominations. From signs for religious words and actions to everyday words and prayers, this app is comprehensive. There are daily devotions requesting guidance from God and the Holy Spirit, and many beautiful prayers of blessing, love, thanks, praise, protection, peace, safety, and so much more. All prayers are ones that children will love and can learn easily. 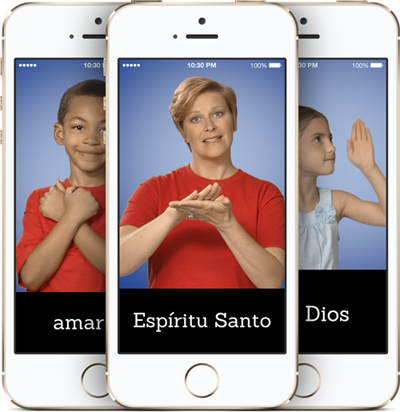 The Religious Signs for Families app is a great way to learn ASL and foster lifelong prayer in the home, classroom and beyond. To navigate to a word/phrase category, swipe on the home page to choose a category. Tap the image to go to that category of videos. When in a category, use the left and right arrows in the bottom bar to navigate to other videos in that category. 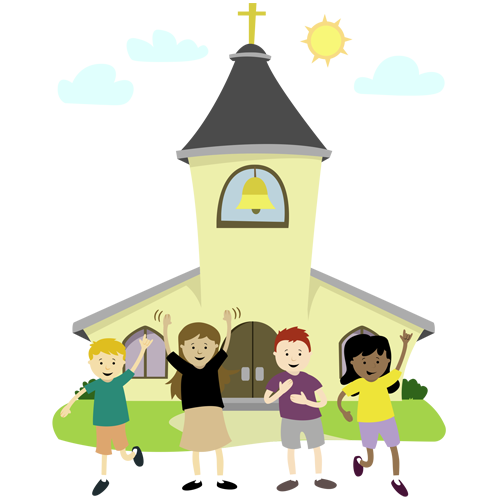 Tap the model icon to view an Adult or Child ASL model. Tap the home icon to go back to the main menu. On the home page, tap the menu icon to see a text-only menu of all words/phrases. Choose your desired language by tapping on the language box in the bottom left corner.